Here are some pictures of our winners from previous years big buck contests. Enjoy! 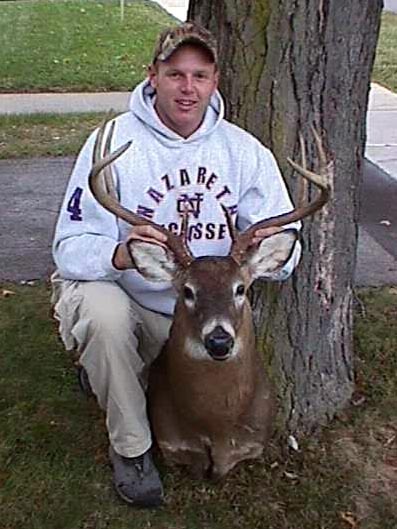 Jeff Klein arrowed this 120.5" buck to capture first place honors in the 2005 contest! 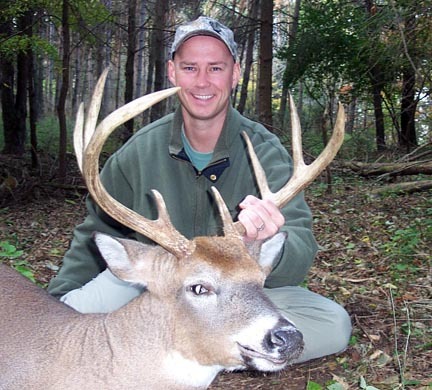 Mark Leopold captured top honors in the 2004 contest with this handsome 9 point buck. It's final score was 117. 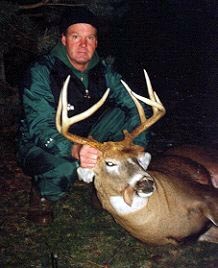 Ron Micheal's 2003 bow buck holds the record as the highest scoring buck on the history of our contest. This rack has it all with nice tine length and great mass. 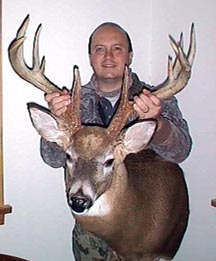 It scored 158.5"
Look at the width of Craig Sleeman's Great buck of the 2000 season. This whopper scored 139. 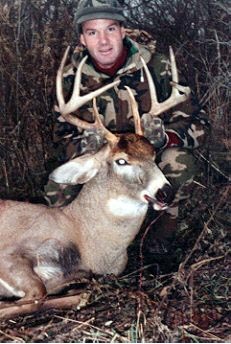 IN 1999, Mike Hilts of Kendall harvested this great 9 point buck that scored officially 147. 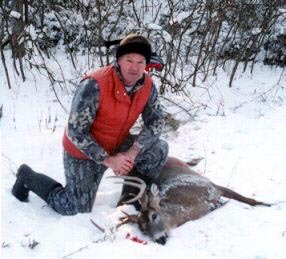 Steve Smith of Honeyoe Falls, NY is locally famous for bagging nice bucks. 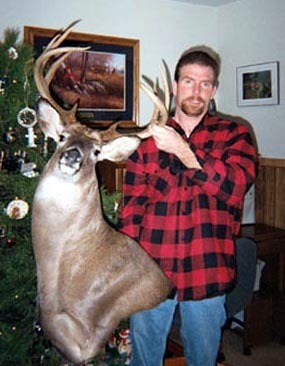 He won the Bucksnort Classic Big Buck Contest for the first three years earning him the title, the Bucksnort King. 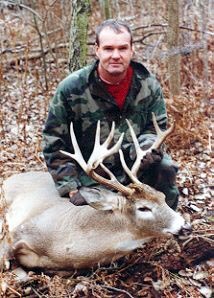 Here is his 1997 buck. Good gosh, Steve again took first place is 1996. Can this guy ever lose? Here is the first buck to win Bucksnort's first annual hunting contest. 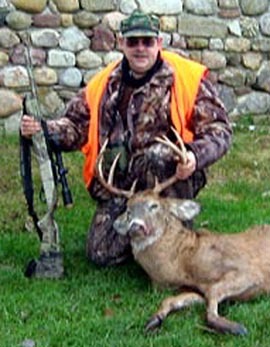 The proud hunter is Steve Smith from Honeoye Falls,NY.